STRUMIS LLC is delighted to be sponsoring the MEP & Structural Fabricators Forum at the Autodesk University exhibition in Las Vegas, United States from December, 1st – 3rd , 2015. Autodesk University is a great venue to increase your knowledge about latest technologies and advanced software for the construction industry. This distinctive event, consisting of classes, seminars and exhibition, is designed to update you on the latest developments in Design visualization, Building Information Modelling and this year, the event will look at exploring the world of fabrication through its innovation forum. So if you’re spending days estimating or fabricating MEP or if you want to learn what BIM means to you then this event is for you! 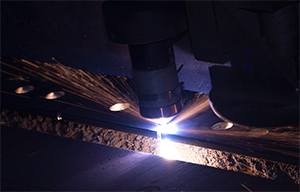 STRUMIS is the global leading management information and production system for every steel fabrication company; minimising overheads and costs, maximise productivity and profitability in every step of the steel fabrication process. With STRUMIS you can adopt lean manufacturing as well as the latest time and cost saving methods through our advanced management information software solutions. Simply contact us to arrange a free consultation to see how STRUMIS can start saving you time and money.